Keyboard & Notes Welcome Mat is rated 0.00 out of 5 based on 0 ratings. Welcome friends and students into your piano loving home! 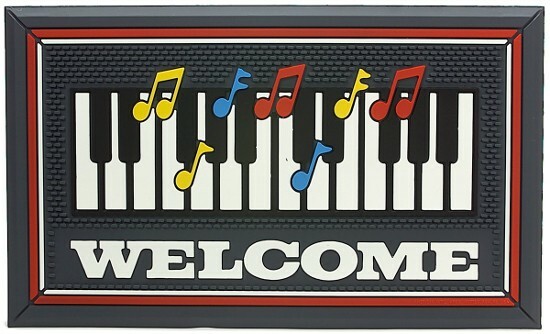 This large 15" x 24" mat is made of black rubber with white keyboard & colorful notes Welcomes everyone in a cheerful fashion. We can mail it out to you today!